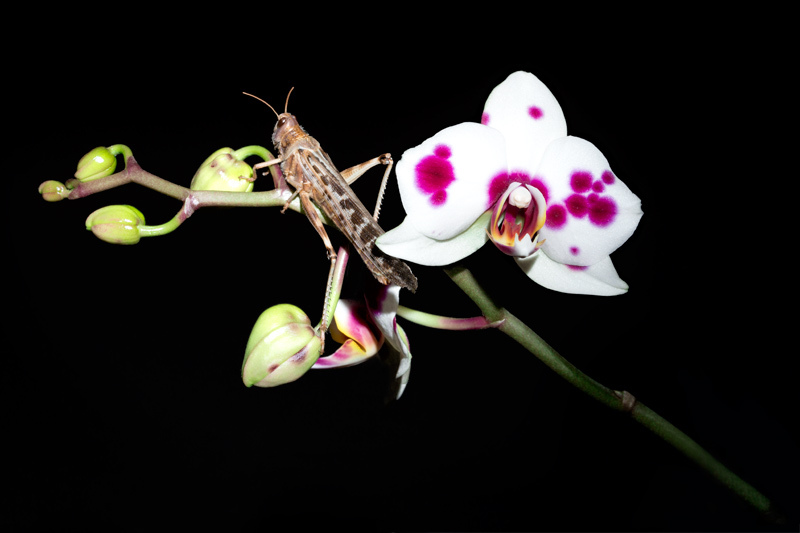 A locust that has grown too big for my lizard to eat (and has subsequently bridged the void from prey to pet) and the re-flowering of an orchid thought to be dead. These are the survivors in my home. Against the odds their abrasive beauty has bloomed. Posted by George on Saturday, October 31st, 2015.